Please select a sink to go with your purchase. Please select a mirror to go with your purchase. Please specify the number of holes for your product. 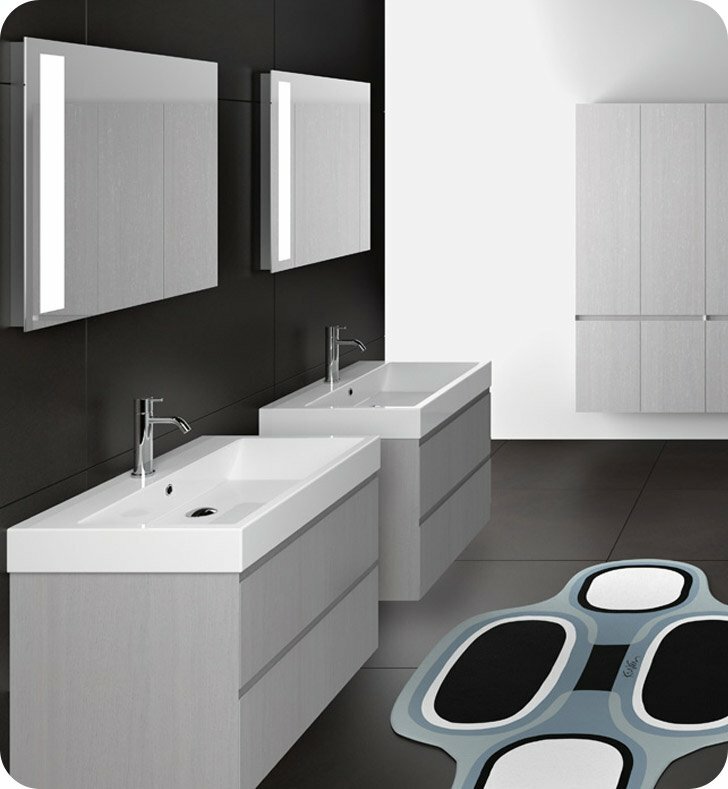 Select optional legs for your bathroom vanity for a floor-standing configuration. Frameless cabinet box made of 3/4” maple plywood with a light maple wood grain finish. Drawer boxes are 5/8” solid hard rock maple, joined at all 4 corners by dovetail joints. Drawer bottoms are 1/4” closed grain wood dadoed into drawer sides, front and back. Drawer fronts are solid one piece construction, attached to drawer box with wood screws. Undermounted drawer glides with self-closing full extension guides. Dimensions: W 28 3/8" x D 19" x H 19 1/2"